Nanyin is a style of Chinese classical music originating in the province of Fujian. The slow, simple and elegant melodies are performed on distinctive instruments such as a bamboo flute called the dongxiao, the crooked-neck Pipa, as well as other wind, string and percussion instruments. 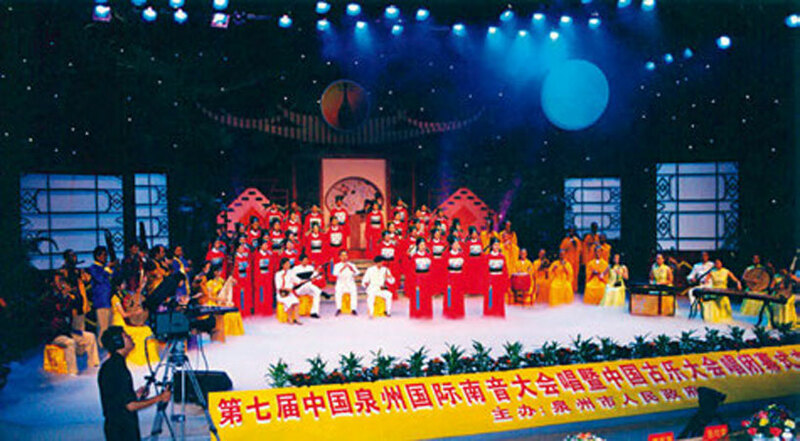 In March 1984, a group of Japanese musicians went to Quanzhou, Fujian Province, to attend a nanyin ‘southern music’ concert. When the deep, elegant and melodic sound of the dongxiao, a Chinese vertical bamboo flute, emanated from the stage, they exclaimed that they had “finally found the root of Japanese music”. Tomokazu Kimura, a famous Japanese shakuhachi player, described this experience as “a dream spanning 30 years coming true”. This autumn, they organized another group to Quanzhou and once again they were enchanted by the performance of the Quanzhou Nanyin Ensemble. The dongxiao, sometimes abbreviated to xiao, was introduced into Japan during the Tang Dynasty and became a popular musical instrument there. As its length measured one chi ‘foot’ and eight cun ‘inch’, it was also referred to as chiba ‘(one) foot eight’ in Chinese and shakuhachi—a literal translation of chiba in Japanese. With the passage of time, however, the dongxiao in China has evolved into varying lengths. Only in the tradition of nanyin performing art has the norm of one foot eight been strictly adhered to, thereby preserving the sound of this Tang Dynasty musical instrument. 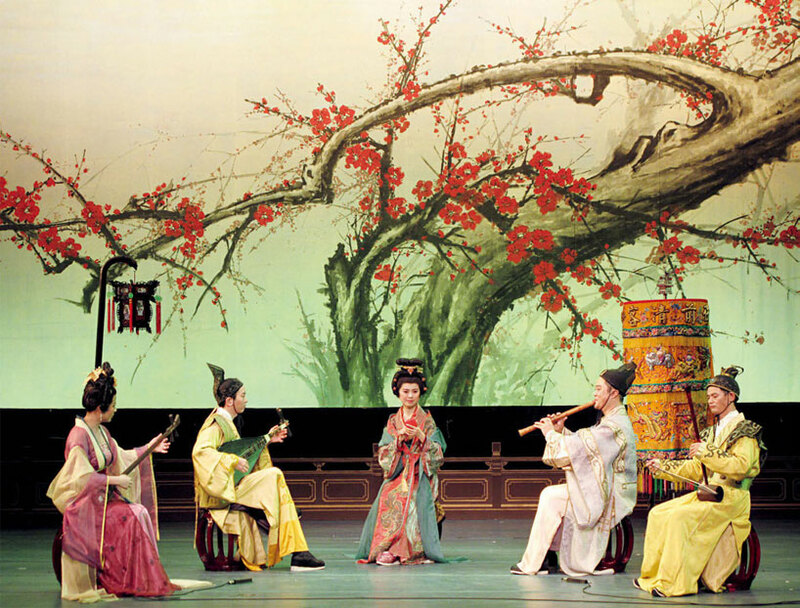 A nanyin ensemble usually consists of five musicians. Positioned in the middle is the singer playing the paiban, a wooden clapper that serves to keep the beat; on the left are two musicians playing the dongxiao and the erxian respectively, the latter being a long-necked two-stringed Chinese lute; on the right are two other musicians playing the pipa, a four-stringed lute, and the sanxian, a long-necked three-stringed Chinese lute. In the famous Southern Tang Dynasty long scroll painting Han Xizai’s Evening Banquet, there is a scene where a singer with a wooden clapper was singing and his audience was listening attentively. Today in Quanzhou, people still play the nanyin and sing with the wooden clapper in exactly the same way as depicted in the painting. 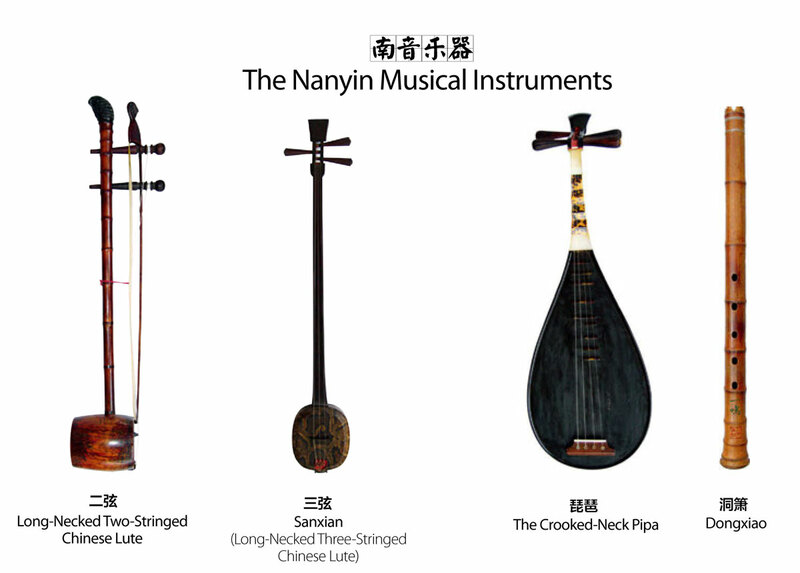 Among the nanyin musical instruments, the crooked-neck pipa also retains the musical tradition of the Tang Dynasty. When you see the player holding the pipa horizontally, totally engrossed in their performance, you will find that their posture and movements are exactly the same as those pipa players in the celestial palace depicted in the Dunhuang frescoes. When the musicians start to play this wonderful music that “can only be heard in heaven”, neither the performers on stage nor their audience can tell if they are still in the present-day or back in the wondrous time of the Tang Dynasty. To take one back to the Tang Dynasty is really that easily achieved by nanyin. 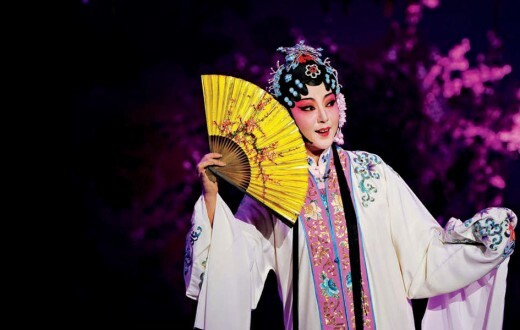 Even older than Kunqu opera, nanyin is hailed as a “living fossil” of ancient Chinese music. 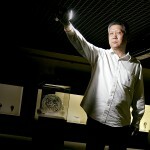 Tian Qing, the Director of Chinese Intangible Cultural Heritage Protection Center, who has an in-depth knowledge of this type of heritage said: “It wasn’t until I heard the Quanzhou nanyin that I dared to declare that ancient Chinese music has really survived to the present day.” Anthony Seeger, General Secretary of the International Traditional Music Society, said, “When I was very young, my grandfather told me that there was a type of music called nanyin, which immediately fascinated me. Quanzhou nanyin is completely different from any other traditional music. It has its unique charm in terms of its tune and melody.” In September 2004, at the invitation of the Chinese Cultural Center in France, Quanzhou Nanyin Ensemble gave a performance in Paris that fascinated and captivated both the audience and French musicians with its artistic elegance. Nanyin may be old, but it is also modern, and it does not only belong to China but also to the world. In 2009, nanyin was inscribed on the UNESCO’s Representative List of the Intangible Cultural Heritage of Humanity. Plum Blossoms, depicting the blossoming plum tree in winter and praising the pure and lofty character of plum blossoms, is one of the most famous Quanzhou Nany in pieces. It has long been a favourite with audiences with regular performances since ancient times. Nanyin’s development has been tortuous. Born in the palace of the early Tang Dynasty, it embodied the quintessence of the elegant court music of Central Plains’ yayue. 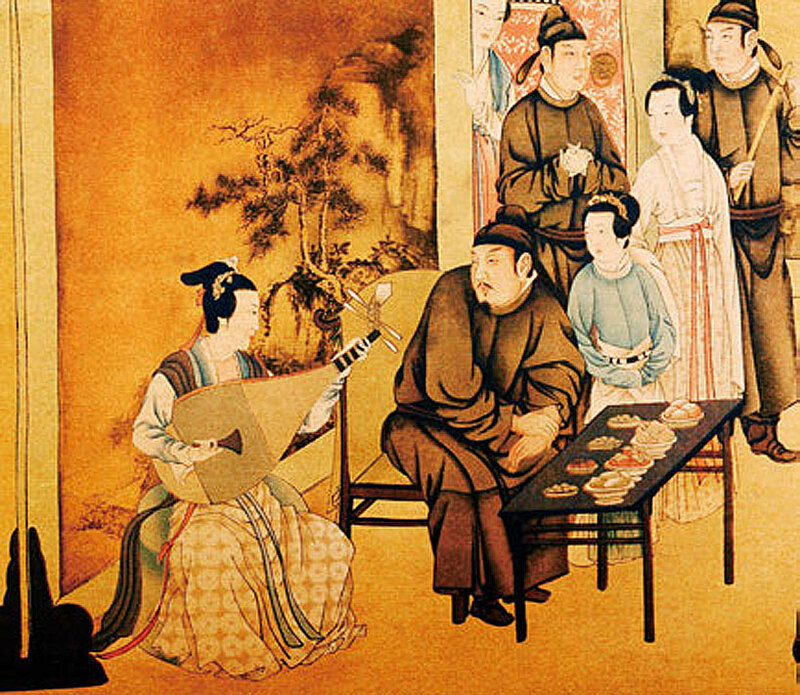 By the Song Dynasty the music reached its apex. At that time, Quanzhou was known as “the greatest port in the Orient” for its highly developed economy and culture. With frequent commercial and cultural exchanges between merchants and scholars, nanyin became so popular that “The sound of wind and string instruments can be heard in thousands of households of silk and brocade.” However, during the subsequent periods of wars and social upheavals, nanyin underwent decline and almost faced extinction. 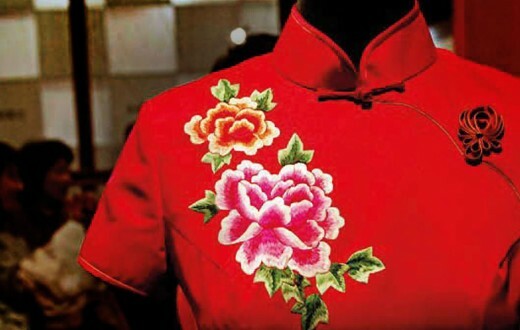 Thanks to the noble families who migrated south to escape the wars, the elegant court music of Central Plains was brought to Quanzhou and around, where it survived by integrating itself with the local music and experienced a rebirth as a new art form with its own unique charm that lasted to this day. As the musical instruments used in present day performances are still the same in shape and size as the ancient instruments, we can see that nanyin is good at preserving its ancient beauty. As a matter of fact, it is also adept at actively absorbing the characteristics of various operas.  By embracing other performing art forms, it has transformed itself into a rich system of music. The International Nanyin Festival held in Quanzhou is a great occasionfor Nanyin fans to gather from all over the world. Described as having “Eight hundred pieces of string music/ And five thousand gems of poetry”, nanyin consists of not only instrumental music, vocal music and a combination of instrumental and vocal music, but it can also be combined with dances. 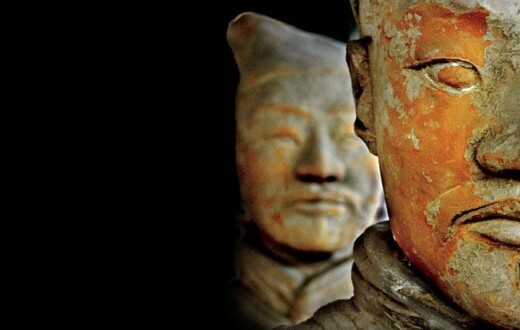 Nanyin has contributed to the prosperity of local operas such as Liyuan Opera, puppet theatre and Gaojia Opera. In turn, it has adapted a large number of arias from these operas for its repertoire of lyric verse or taken famous operatic episodes as its suites. As a result, both nanyin and the local operas have left their imprints on each other, nourishing and complementing each other. 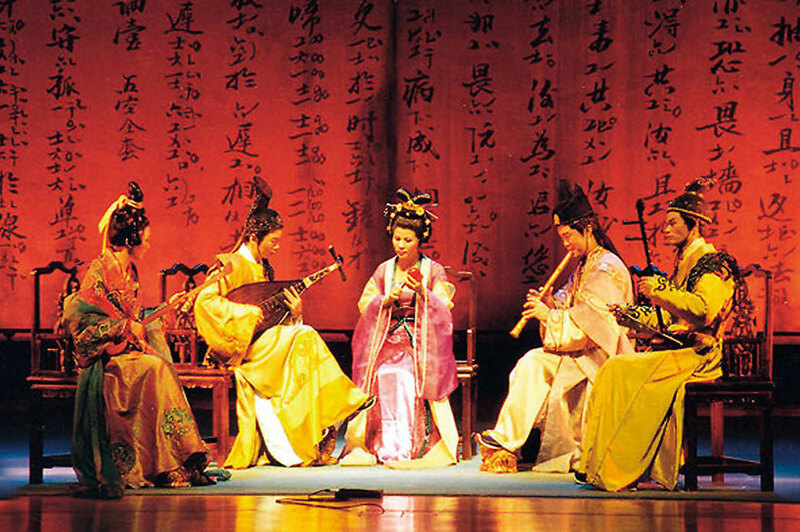 Nanyin, first known as the elegant court music arrived in Quanzhou when people from the Central Plains settled there. 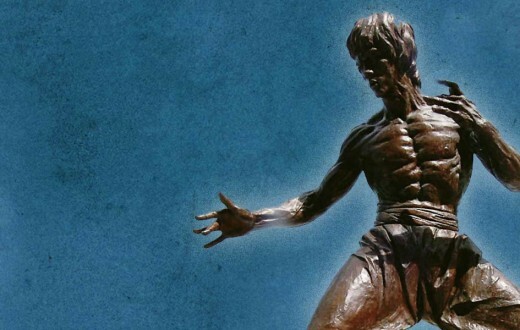 And following the footsteps of Quanzhou people, it integrating itself with the local music and opera , and became “nanyin”, then spread to southern Fujian and on to Taiwan, Hong Kong, Macao and countries like the Philippines, Singapore, Malaysia and Indonesia. 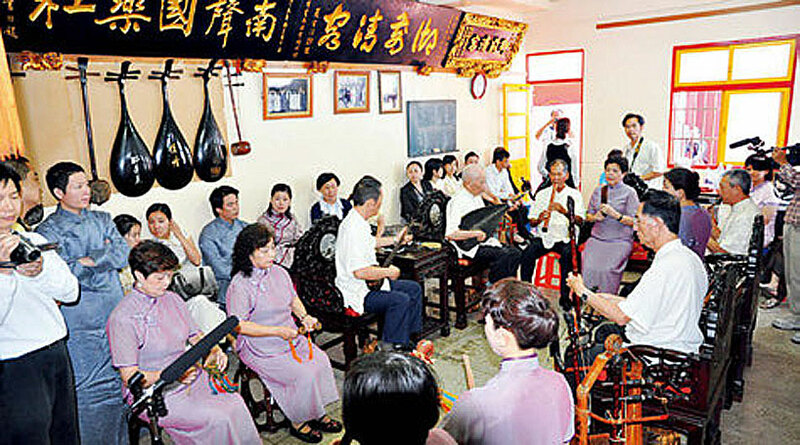 Given different names, like “nanqu (南曲 ‘southern tunes’)”, “nanguan (南管 ‘southern winds’)” in different places, it has been further enriched as people around the world play this music. Nanyin fan sfrom across the strait interacting and performing with each other. Gazing in the Direction of My Native Land is a very famous piece of nanyin music that can be deeply moving. Like the delicate fragrance of magnolia permeating from afar, its slow and gentle melody goes right into the hearts of emigrants far away from their ancestral homes. The homesick expatriates in faraway lands will invariably get carried away by the beautiful music as they feel the loving warmth of their hometowns and families. Upon hearing the lyrics “I gaze in the direction of my native land, but don’t see where it is; what I see is only range after range of high mountains; I long to see the hills of my hometown, but they lie beyond the clouds…”, they cannot help themselves but burst into tears. 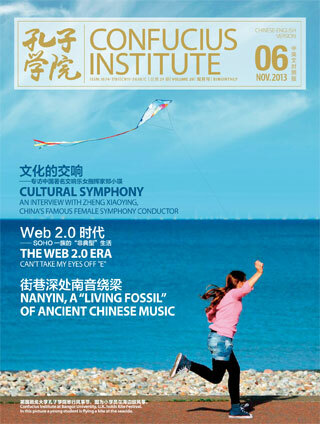 According to Ms. Chen Mei-O, founder of the Han-Tang Yuefu Music Ensemble, a nanyin ensemble in Taiwan, nanyin does not just embody people’s affections for their hometowns, but also their love for the Chinese nation. 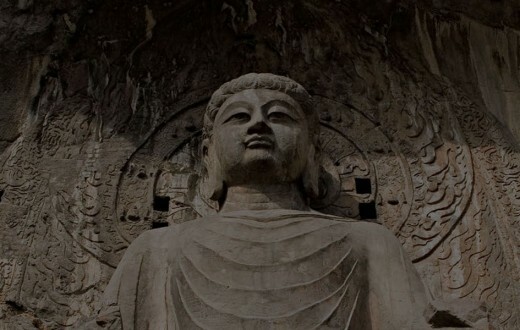 “This is the same wherever nanyin is found, be it at home or abroad, and it has remained the same for over a thousand years.” That’s why nanyin has become the spiritual bond linking overseas Chinese all over the world with their native land. There are a variety of nanyin seminars, television contests and other activities at home and abroad. The International Nanyin Festival is a great occasion for nanyin fans to meet and exchange ideas. In 2009, nanyin was inscribed on the UNESCO’s Representative List of the Intangible Cultural Heritage of Humanity. Nanyin is hailed as a “living fossil” of ancient Chinese music.To take one back to the Tang Dynasty is really that easily achieved by nanyin. Nanyin has retained a large number of ancient Chinese vocabulary and phonology from the Central Plains. Its notation rule is inherited from the Gongyi score since time immemorial. The esoteric and complex knowledge entailed in its learning posed insurmountable obstacles for any laymen. When the Internet became widely used, many nanyin fans created websites to share their experience and promote nanyin music. In the late 1990s, software were developed to enable simultaneous transcription of Gongyi score into staves and simplified musical notations, making it possible for more people to gain access into the magnificent musical world of nanyin. 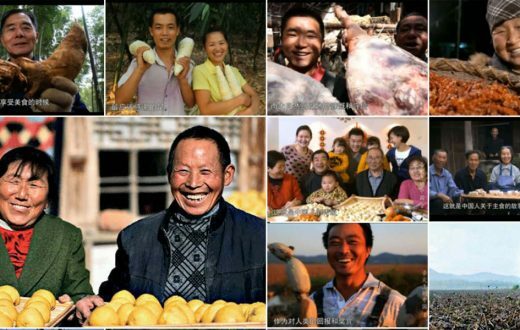 There are hundreds of local nanyin societies all around Quanzhou, drawing their members from all age groups. It is by no means out of the ordinary for a 10-year-old child to give an impressive performance of nanyin. Although most of the societies are underfunded, they have never stopped performing. Nanyin has also entered school campuses in Quanzhou in a big way. Students have easy access to the wonderful world of nanyin music—from its appreciation to giving singing, playing and dancing performances. With perfect accompaniment of music and dance, the exquisite and beautiful Nanyin gives the audience an insight into the customs of the Tang Dynasty. Nanyin is an ensemble art in which a single performer’s artistic excellence is not valued as highly as that of the whole group. Instead, the beauty of “harmony” is regarded as the greater beauty, and perfect harmony is true excellence. This means that when performers go on the stage, they take their seats in an appropriate sequence, and when nanyin fans exchange ideas and experiences, they will do it in a friendly and modest manner. All the conventions and little details concerning nanyin performances embody the ever constant Chinese philosophy of life and Chinese cultural etiquettes and rites of music. Be it in the Tang or Song Dynasties, or even today, nanyin has always been a part of people’s lives.